The exhibitions are held at 6 exhibition halls from 15 of the Matenadaran’s museum complex. The exhibition embraces collections of manuscripts from Vaspurakan, Mush, Karin and other Armenian settlements, rare archival documents, e.g. 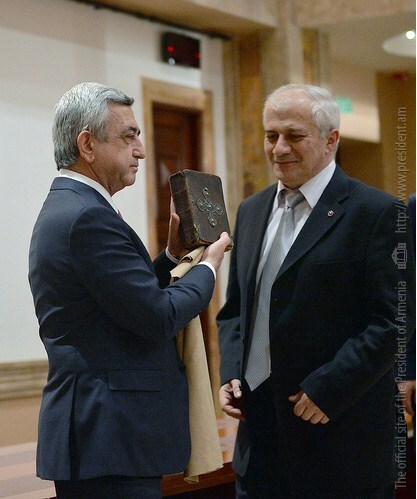 decrees to confiscate the properties abandoned by Armenians, photos displaying Etchmiadzin’s orphanage and Ho vhannes Tumanyan’s activities, photos of the Battle of Aintab etc. The main exhibition has also been replenished with manuscripts saved from the Genocide, e.g. Msho Charentir (Homilies of Mush), Zeytun Gospel; another manuscript belonged to the school of Cilicia, 8 pages of the Gospel of 13th century, which was recently acquired by the Matenadaran and other manuscripts. 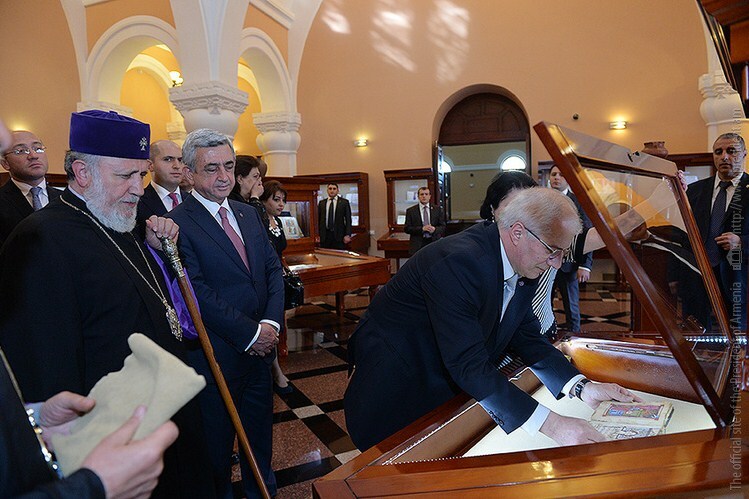 At the exhibition special emphasis has been laid on the life and activities of All Armenian Catholicos George V and Hovhannes Hyusyan, an abbot at the Hermitage of Lim, whose efforts helped to save not only human lives but also many manuscripts. 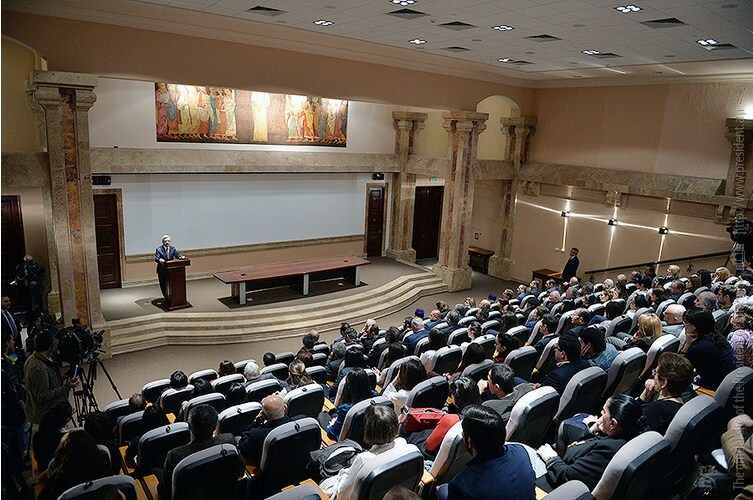 At the opening ceremony the documentary film “Kemalist Massacres” was presented by the Matenadaran and Shoghakat TV at the Matenadaran after Mesrop Mashtots. The director of the TV station Manya Ghazarian in her speech expressed the hope that by presenting the historical realities of the Armenian Genocide the film “Kemalist Massacres” will have investment. The screenplay is written by Anahit Astoyan, a senior research fellow at the Matenadaran and the director is Ara Shirinyan. The film was produced at Shoghakat TV.